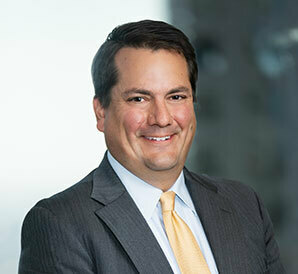 Rob is co-chair of the Financial Institutions Group and concentrates his practice on financial institutions, securities, and general corporate matters. He regularly represents financial institutions on public and private securities offerings, recapitalizations, mergers and acquisitions and contract negotiations. He has recently been assisting clients with the various government programs aimed at assisting financial institutions through the current economic environment. Additionally, Rob works closely with clients on their continued compliance with federal and state securities laws, including reporting under the Securities Exchange Act and with corporate governance. Rob is an adjunct professor in banking law at the Northwestern University Pritzker School of Law. He was an adjunct professor of securities law in the graduate program in financial services law at the Chicago Kent College of Law for five years. Rob is also a frequent speaker in the financial institutions and securities law areas to trade associations and professionals. What If the Deal Falls Apart?